Properly equipped, the 2019 RAM 1500 can haul 12,750 pounds thanks to its Best-In-Class V8 towing, easily taking care of any job you may have in or around Portage. Even without maxing out the towing specs, this truck can still pull some weight. The standard RAM allows for up to 6,730 pounds of towing power. We know your job won’t always keep you on the paved roads of Michigan City, and that’s not a problem for the 2019 RAM. The capable 4WD system means you can effortlessly tackle the terrain. Whether you decide to fully equip your RAM 1500, or go with the base model, you’ll have a powerful and capable pickup for any job that comes your way. Feel safe and know your cargo is secure thanks to the active-level four-corner air suspension that keeps your ride smooth and balanced, no matter how rough the roads are in Westville. Drivers in need of even more power might also consider the towing capacity of the 2018 RAM 2500. Make sure you have all the tools you need with the broad range of customization options for the 2019 RAM 1500. Add the RAMBox Cargo Management System to your ride and you’ll get cargo bed rails with adjustable tie-downs, cargo box lighting, and a cargo bed extender. 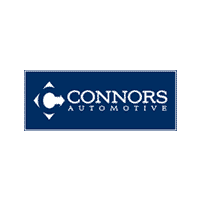 Once you’re ready to upgrade to a more powerful and capable pickup, come visit us at Connors Chrysler Dodge Jeep Ram in Chesterton and check out our RAM 1500 inventory.